Stuart Barfoot Garden and Landscape Design work on projects across the UK and around the world, particularly Mallorca and Italy. Our projects range from intimate town gardens to large country estates and coastal gardens. We design gardens that are modern, romantic and stylish, and have a sense of naturalism and simplicity about them. Based in our new studio in Brighton, we are a professional design and consultancy practice that blends creativity with a practical approach. 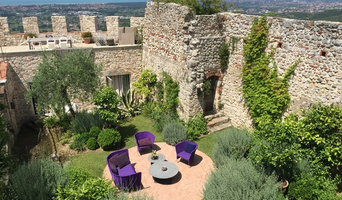 Stuart brings over fifteen years of practical experience gardening in the UK and Mediterranean together with exceptional garden design training at the renowned Inchbald School of Design. This enables him to offer a unique perspective and approach, showing a clear understanding of the practicalities that underlie good design and make a garden successful. Stuart has a great respect and appreciation for the natural landscape and spirit of place, and his love of drawing and painting gives him insight into colour and form in a garden setting. Stuart also has a keen interest in the natural world and conservation and enjoys regular adventure holidays; the most recent being a month long adventure safari in Botswana and Zambia to experience the Okavango Delta and Luangwa. Call us today to discuss your ideas for your garden. Designing Your Beautiful Custom Gardens in a Day! We transform neglected soul-less gardens into beautiful green spaces, enhancing our clients lifestyle and property value. Many of our gardens are low maintenance, but it's not compulsory! We like to encourage people to be outdoors more, connecting with the natural world and sharing that space with the people they love. We give our clients a view through the window that makes them smile every day. We are experts with a track record of delivering great gardens on time and budget and making people very happy – see our testimonials on google and Houzz soon. Great designs, clear visuals, clearly set out process, well built gardens, inspired planting design. Over 10 years experience and over 200 gardens totally transformed and countless others improved, through consultation and planting development. Heather Martin Garden Design provide a personal service creating beautiful and functional outdoor spaces tailored to suit your lifestyle, ensuring that the largest 'room' of your property can be enjoyed to the full. Heather offers fully bespoke consultation and creative advice on all styles and sizes of garden, from historic restoration to modern redesign and planting. Award Winning Garden Design and Landscaping company based in west Kent. 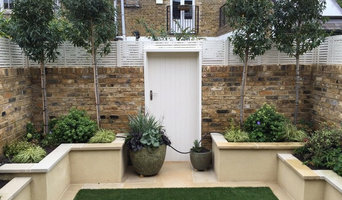 Fraser Garden Design is a family business offering garden consultancy and bespoke garden design and build services to clients in the local area. Founded by David Fraser in 2016, our combination of functional design training, creative skill and knowledge, as well as our understanding of plants ensures we deliver innovative ideas for every type of garden. We are passionate about the importance of creating a harmonious cohesion between modern living, architecture and the natural world. I provide a professional and experienced garden design service for design conscious home owners in Surrey and the South East. 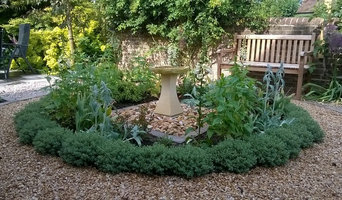 My aim is to create beautiful and practical gardens which suit my clients’ taste and lifestyle. From small family gardens to large country estates, in traditional or contemporary style, each garden I create is tailored to your individual needs and preferences. I will create a unique garden for you, which will not only give you great pleasure but also add value to your home. A landscape architect will handle all design, supply, construction and administrative elements of your garden or landscaping project. They will take into account your needs, the Brighton, East Sussex climate and unique advantages and constraints of the landscape architecture. Typically, work will be based on ecological and environmental considerations, and a garden will be planned not only to look its best but also to facilitate future maintenance and growth so that it continues to flourish. A Brighton, East Sussex landscape architect can also design any outdoor buildings that are to be featured in your garden. Everything from design blueprints through to the plants themselves should be provided by your Brighton, East Sussex landscape architect. If there is other architectural development taking place on your site, bring the landscape architect in as early as possible. The expertise a landscape architect can apply to understanding your space and the natural environment could be vital to planning your project. Let your Brighton, East Sussex landscape architect work closely with your architect, surveyor and any other contractors in order to develop landscape architecture that works in accordance with any other construction. This is important from a design perspective as well as on a practical level – changes to the grading of a landscape and modifications such as drainage can have serious implications on the viability of your land for extensive building and structural works. In order to resolve any planning permission issues, submit all applications for building and landscape architecture together, well ahead of the project. The scope of garden designers, or landscape gardeners, is often more limited to green space projects which will optimise your existing outdoor space rather than altering the landscape architecture as a whole. 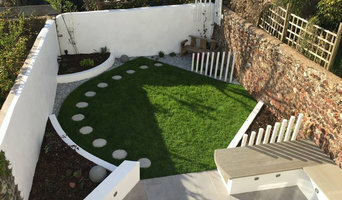 Whereas landscape architects specialise in the structural aspect of garden planning and building, garden designers in Brighton, East Sussex will carry out projects that are of aesthetic and horticultural value. Landscape gardeners will make your garden the best version of itself with features such as walkways, patios, water features, fences and lighting, as well as choosing the right plants, trees and flowers. The practical role of a garden designer may vary by firm – some offer just the plans, requiring a separate contractor, while others fulfil the project in its entirety, from conceptualisation of the landscape gardening to construction. Don’t be put off by the former if you happen to find a good Brighton, East Sussex garden designer that you like – he or she will have local industry connections to introduce you to quality, reliable gardening professionals with whom they have existing relationships. Here are some related professionals and vendors to complement the work of landscape architects & garden designers: Landscape Contractors, Garden & Landscape Supplies, Tree Services, Lawn & Sprinklers, Decks, Patios, Sheds & Summerhouses. How do I choose landscape architects or garden designers in Brighton, East Sussex? When choosing your Brighton, East Sussex garden designer or landscape architect, be sure to research their qualifications and look at examples of their previous work. A portfolio of previous landscape architecture or garden projects is important to ascertain both their credentials as well as their style. Once you have shortlisted or chosen your architect or designer, an on-site meeting is essential so they can see exactly what they’ll be working with. Stay briefed on all plans and developments, both before and during the project as a plan you approved previously may change during the course of the project. Be very clear on your budget – just like plans, costs may alter while work is underway so ensure your professional keeps you informed and does not incur additional expense without approval. If you are open-minded and budget-conscious, consider approaching new graduates keen for experience, who may negotiate a lower rate than more experienced professionals. How long have you been landscape architects or garden designers in Brighton, East Sussex? Find a landscape architect or garden designer on Houzz. 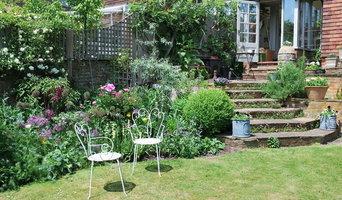 Narrow your search in the Professionals section of the website to Brighton, East Sussex landscape gardeners. You can also look through Brighton, East Sussex photos to find a garden you like, then contact the garden designers in Brighton, East Sussex who worked on it.